There’s little left to say of David Bowie that hasn’t already been said more eloquently by writers more qualified than me. He was a treasure to the world, the rare artist that could transcend form, genre, gender, sexuality, and style. He had a profound influence on music and culture over the course of a 40-plus-year touring career, constantly shifting to pursue the sound that inspired him in the moment, whether it be folk, jazz,Philadelphia funk, or space-glam rock, all while staying undeniably true to himself. 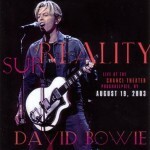 In late 2003 Bowie embarked on “A Reality Tour,” performing a career-spanning set, which would turn out to be his last world tour, although he would continue to perform short sets sparingly for causes he supported, as well as appear in support for bands including Arcade Fire and TV on the Radio. A live album featuring performances from two nights of Bowie’s stop in Dublin during “A Reality Tour” was released in 2010, but was never available on vinyl until now. Later this month, a three LP box set of “A Reality Tour” will be released on 180 gram translucent blue vinyl by Friday Music. 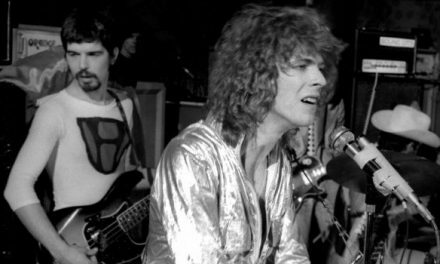 Mastered by Joe Reagoso, the album is filled with hits including “Ziggy Stardust,” “Changes,” “Fame,” “Five Years,” “Under Pressure,” “All The Young Dudes,” “Rebel, Rebel” and many, many more. Additionally, the set will include posters of live performance shots from the show, helping to make the limited edition box set even more of a collectors piece. 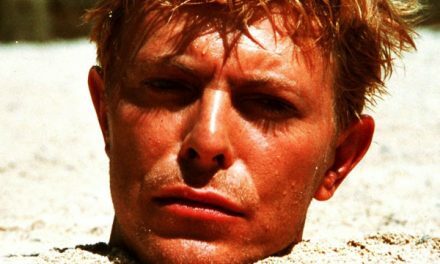 A lot of us are still mourning David Bowie in one way or another. We (read: I) tear up when “Young Americans” comes on at the bar, or bring up a Spotify playlist during a particularly rough day at work. For any Bowie fans still reeling in the same way, this set belongs in your record collection. It’s available for pre-order now, so if you’re interested, I would jump on the deal while you can, as I don’t expect them to stay in stock for long.